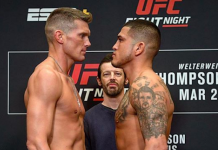 Over the weekend, it was reported that a welterweight contender bout between former champion Robbie Lawler and former title challenger Stephen Thompson was in the works for the UFC’s January 18 debut on ESPN. Shortly thereafter, another report suggested that a flyweight bout between Paige VanZant and Rachael Ostovich was in the works for this inaugural UFC on ESPN card. From the sounds of it, we can pump the breaks on both of these potential bookings. 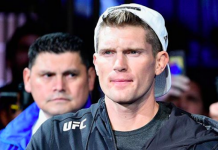 Shortly thereafter, in a conversation with BJPENN.COM’s Chris Taylor, Stephen Thompson also refuted the reports of his UFC on ESPN bout, saying that nothing is in the works yet. “Nothing is set at all. I would love that fight but Robbie may not be ready at all.. so it’s like up in the air right now.. there is no telling who I’ll fight next to be honest”. 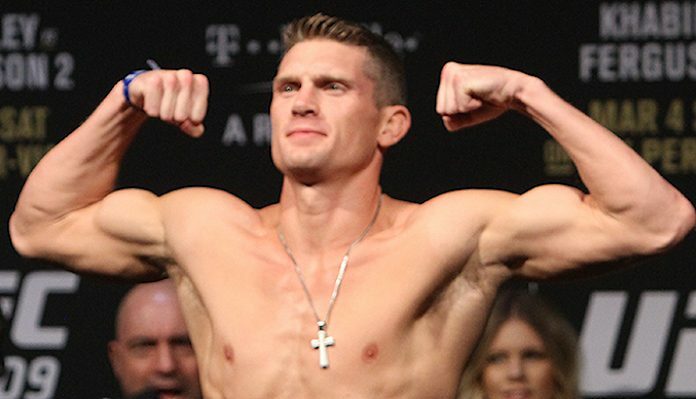 “I asked [Stephen Thompson] about potentially fighting Robbie Lawler in January on ESPN,” Taylor explained. So, there you have it. 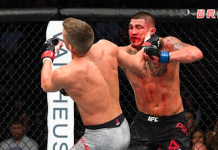 As fast as the UFC’s debut on ESPN looked like it was coming together, it has reverted back to an entirely unbooked card. That being said, it’s possible the UFC is indeed eyeing both of these matchups, and that the fighters just haven’t been made aware of the plan. Time will tell. 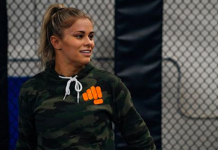 Who do you want to Stephen Thompson and Paige VanZant fight next, if not Robbie Lawler and Rachael Ostovich? Join the debate in the comments section below.